Thanks to an exclusive reveal by Yahoo! 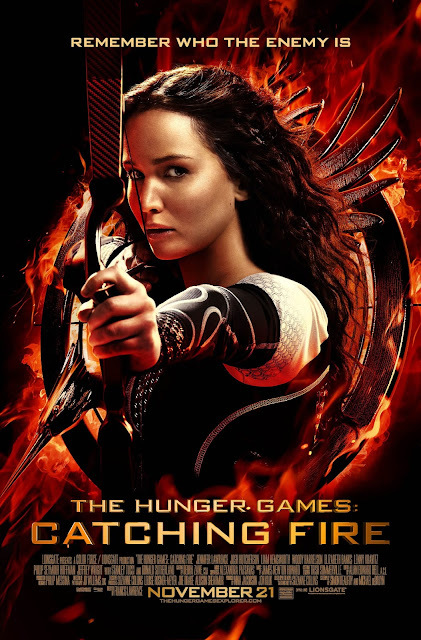 UK, we now have our final Catching Fire poster! We love how they've chosen a similar image to the one used in the final Hunger Games poster, with Katniss aiming her bow. And the flaming mockingjay symbol behind her looks stunning! You can also check out this cool photo montage of all the international versions of the new poster from Lionsgate. What do you think of this amazing new poster?